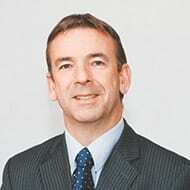 Peter Etherington is an employment law and HR professional working for small and medium sized businesses. He has a Masters Degree in Human Resource Management from De Montfort University and a Masters of Laws Degree in Employment Law from the University of Leicester. Peter is experienced in dealing with a wide range of employment issues as a senior manager, HR professional and employment consultant. Previous experiences include redundancy (collective as well as smaller scale), departmental restructures, transfers of undertaking (TUPE), negotiating new terms and conditions with staff, management of complex disciplinary and grievance cases, performance management, absence management, tribunal representation, and writing policies and procedures. Supporting employers in the East Midlands, we provide advice and hands on support with all HR and employment law requirements.